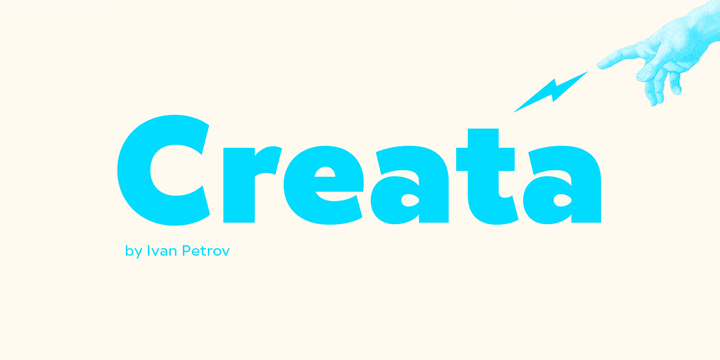 Creata is a contemporary typeface created & published by Ivan Petrov which is available in 7 weights (from Thin to Black) and italics. This versatile grotesque font is ideal for editorial use. Have fun! A font description published on Thursday, January 4th, 2018 in Fonts, Ivan Pentrov, Ivan Petrov by Alexandra that has 1,377 views.